Escape to your very own oceanfront retreat for just $49,900. Financing Available – Buy Lot 11 for $10k down and $484 per month. Phase 2 is gone! There aren’t many lots left in Phase 3 and they are selling fast. Get the 5 email series here. Ready to own your own tropical getaway? 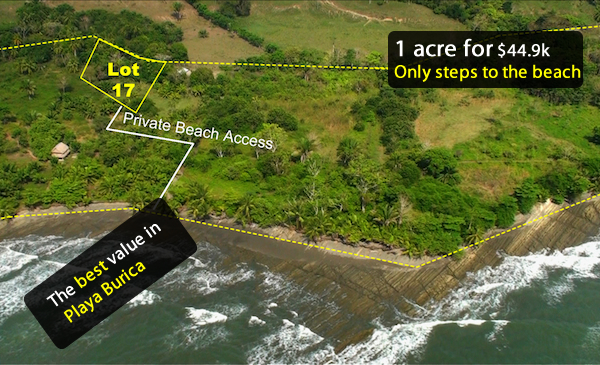 Punta Burica could be yours. It's an adventure and an investment rolled into one. With properties selling at less than $100k, it's an opportunity of a lifetime. 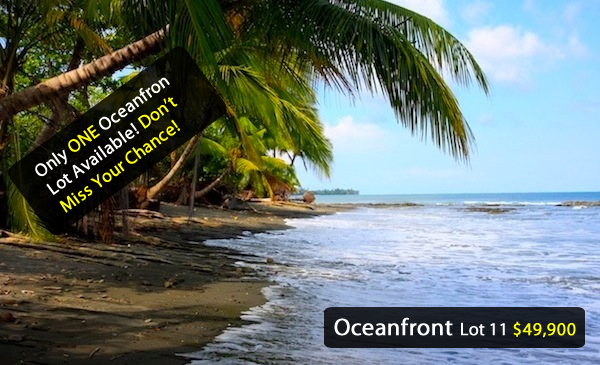 Find out how easy it is to invest in Playa Burica Panama real estate. You'll be one of the lucky ones. Playa Burica is the world's best-kept secret, and it's an investment opportunity you can't afford to pass by. Jutting reefs, wild jungle, and crashing waves await the savvy, adventure-seeking investor in you. Grab your adventure and buy your Playa Burica property today. Explore wild terrain, tropical forests, barreling waves and a clandestine climate you can enjoy any time you choose. Punta Burica Panama's spectacular beaches are waiting for you. Get ready for your adventure of a lifetime.